Blessed feast of Our Lady of Ransom! Today the Roman Catholic Church celebrates Mary as Our Lady of Ransom. The title was given to her in 1218 by St. Peter Nolasco, St. Raymond of Penafort, and King James of Aragon. 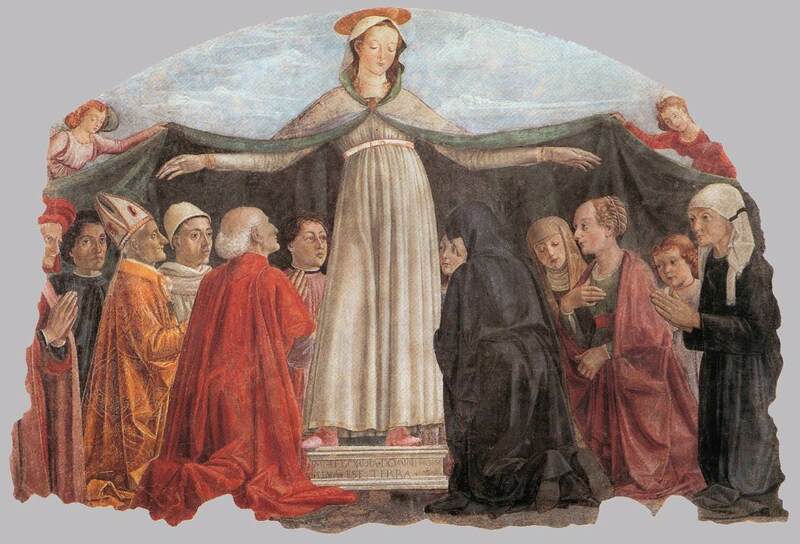 The title comes from the Blessed Mother’s separate appearances to each of the three men, who then became the founders of the Order of Our Lady of Ransom (Mercedarians). The order’s mission was to facilitate the release of Christians held prisoners by the Saracens and Moors. You can read my post about the origin and meaning of the feast of Our Lady of Ransom here. This past Wednesday, September 21, I chatted on air with Morning Air Show hosts John Harper and Glen Lewerenz about the origins of the feast and our need to be ransomed still today. You can listen to the podcast below. I’m at the 44-minute mark. Enjoy! Blessed Virgin Mary, Catholic Church, Feast Days, Our Lady of Ransom, Podcasts. Bookmark.